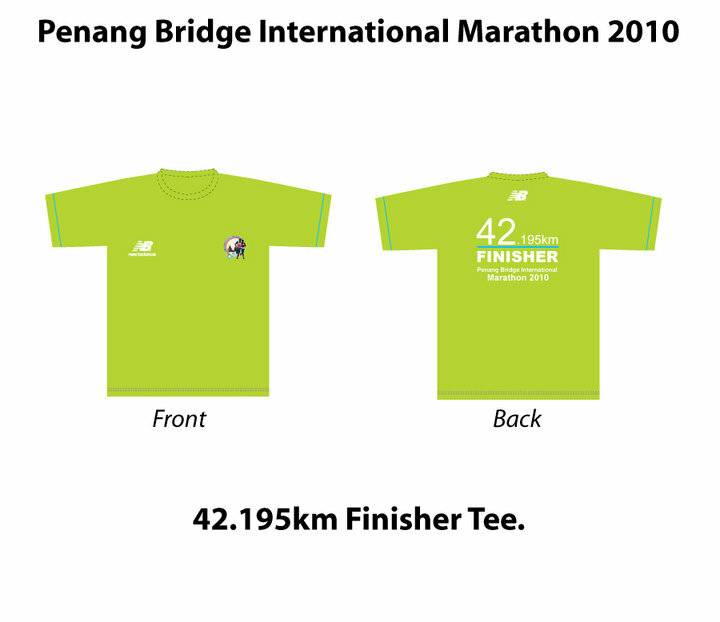 Im just committed to Penang Bridge International Marathon 2010 on 21st Nov 2010. 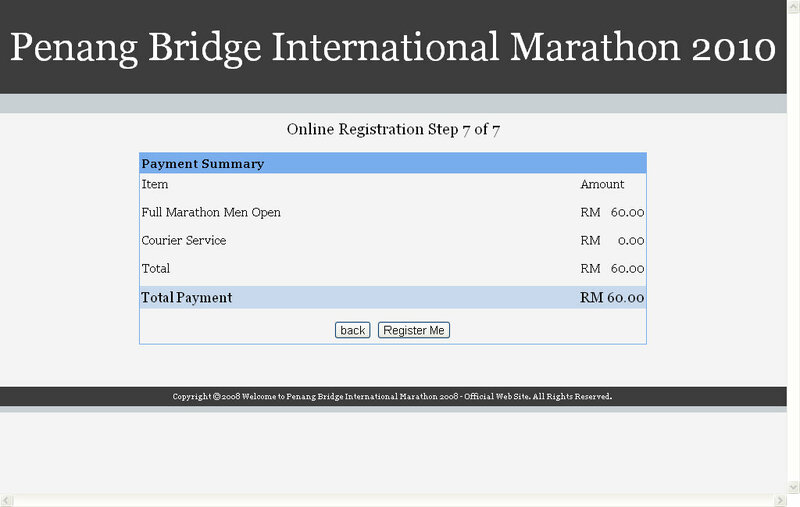 This is very last minutes additional to my Singapore Marathon which scheduled 2 weeks later on 5th December 2010. 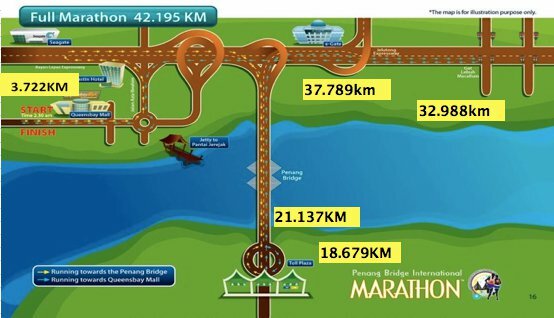 Im going to run 42km marathon on 21st Nov 2010 and another 42km on 5th December 2010! Another finisher Tee going to be own by me! PBIM going to be my 1st full marathon in Penang and 7th marathon to-date! My target timing : 6 hours! 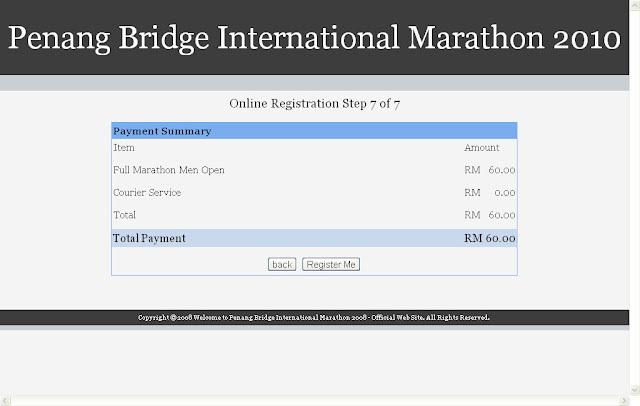 I can not run faster or set faster timing as i have to take consideration of my Singapore marathon 2 weeks later. This is the PLAN to tackle 2 marathons in 2 weeks time! Im the LEADER from TAKERS!